With packed audiences at concerts in Pretoria, Soweto, and Cape Town, the Ihlombe! South African Music Festival celebrated its sixth season in July of 2014. Each year festival participants come from near and far, including ensembles from U.S.A., Canada, Trinidad & Tobago, South Africa, Belgium, Australia, New Zealand, Nigeria, Uganda, and Zimbabwe. Our choir, The Children’s Chorus of Washington, has joined the ranks of the prestigious past participants. We exchanged choral traditions in gorgeous settings, performed our own diverse choral repertoire, and experienced other unique ensembles, all while bringing audiences to their feet. Our choir had numerous outreach opportunities to choose from including choir exchanges, orphanage visits, school exchanges, home building projects, collaborations, and the opportunity to give back to youth choral and music programs. We choose to participate in a school exchange and youth after-school choral programs. We sang for each other and learned new songs as well as a better understanding of a different culture. A few other choirs enjoyed singing at and assisting in daily activities at a local orphanage and daycare center. Known in the choral world for diverse choral music, South Africa is the perfect home for this choral festival. Born from the inspiration of this rich choral singing tradition, Ihlombe! 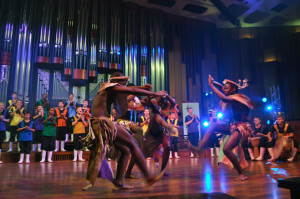 South African Choral Festival was inaugurated in 2009 and presented annually ever since, earning the status of the largest international choral gathering in Southern Africa. Classical Movements, producer and presenter, has been touring to South Africa since 1994, when Nelson Mandela became president. 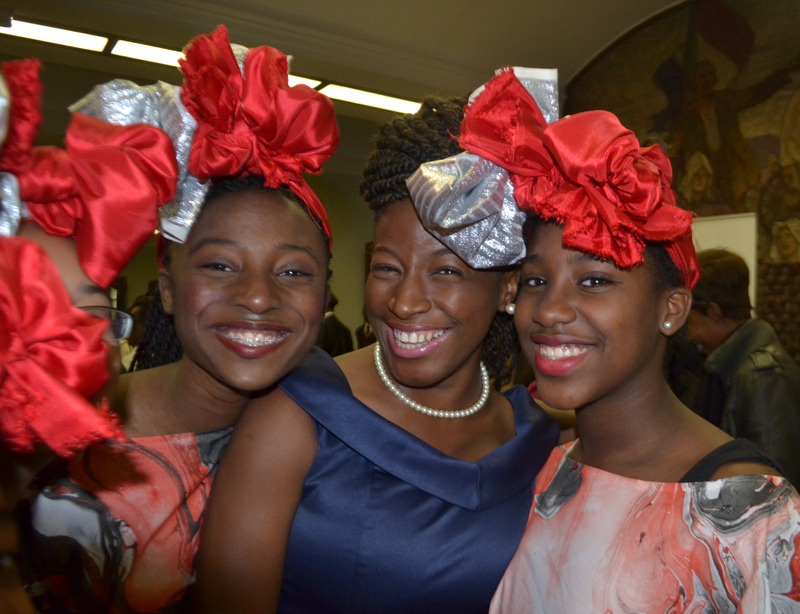 Cultural exchanges play a vital part in building friendships across nations and Ihlombe! reflects this sentiment. Through its consistent effort in bringing choristers together in venues accessible to various communities, the festival provides audiences with a mix of local and foreign choirs with rich diversity and high level of artistry. We experienced some of the most prominent South African choirs as well as excellent international choirs while participating in this festival. 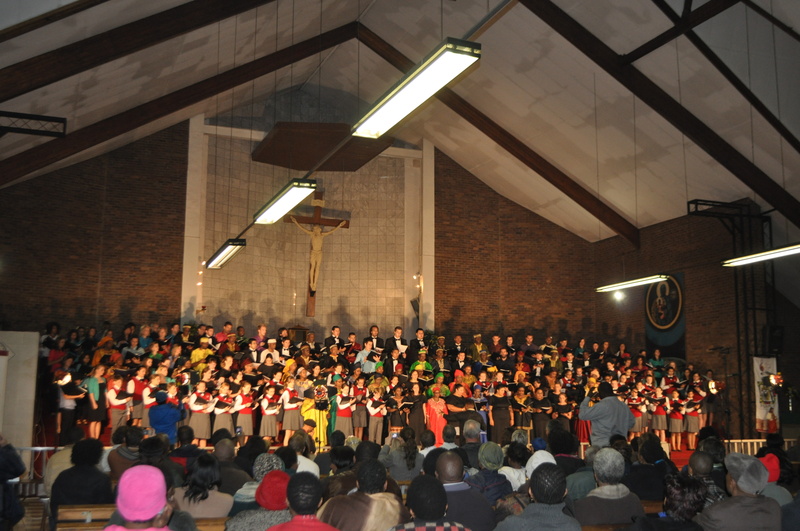 Our concerts took place in Soweto, Johannesburg, Pretoria, as well as the greater Cape Town area, with other choirs having additional outreaches to Winterton, Bloemfontein, Port Elizabeth, George, Paarl, Grahamstown, Bellville, and Stellenbosch. Since its inception, Ihlombe! has presented over a hundred choirs in 43 concerts, making it a sought-out festival for choirs of all nations to experience the cultures of this diverse nation at the tip of the African Continent. One of the aims of the Ihlombe! Festival is to offer South African audiences an opportunity to hear South Africans performing in concerts with excellent choirs from all over the world. 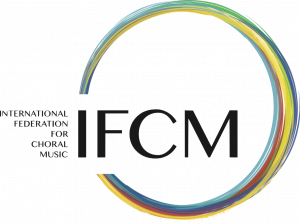 All choirs have the opportunity to participate in choral workshops with exhilarating cultural interactions from African rhythms, dancing and drumming to sharing unique international choral pieces. We especially enjoyed our drumming workshop and learning about many of the traditional South African cultural performances. Each of our concerts featured different choir combinations with exciting programs and ended with a mass finale of a South African piece learned at the workshops conducted by leading South African conductors. This usually also included the entire audience standing and joining us in song. It is quite the experience and one that our choristers will never forget. “Ihlombe” the Xhosa word has no equivalent in the English language, it describes the transcendental feeling induced by making music and singing together that transports one to a state of overwhelming joy in which you become so acutely moved that you are compelled to rise and participate. In Zulu “ihlombe” translates into applause, which is a wonderful way to describe the beautiful choral traditions of South Africa. We had the opportunity to participate in workshops with traditional Cape Malay, Zulu, Xhosa, Sotho, Afrikaans, and English choirs of various ages. 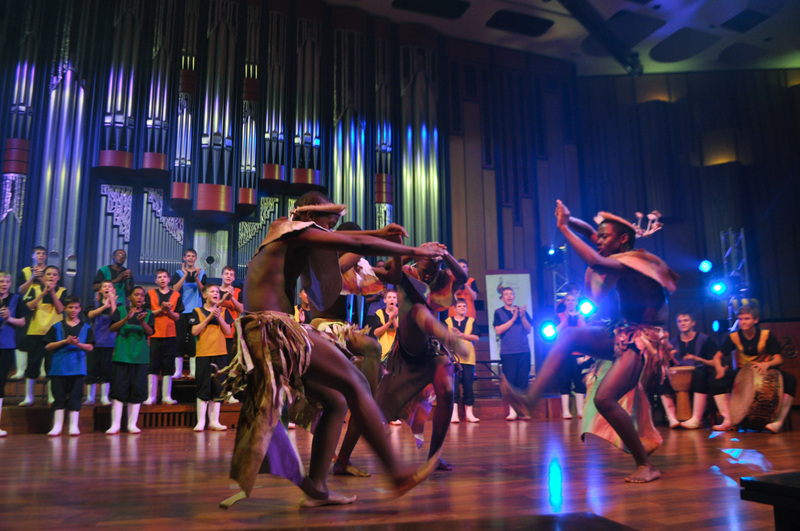 Each of our concerts were hosted by a local South African choral ensemble, showcasing the musical facets of this country–including traditional choral techniques, drumming, rhythms, and international award-winning choirs. 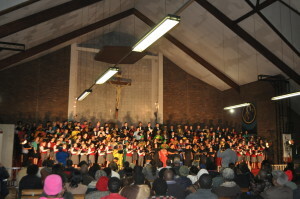 Concert proceeds usually benefit the hosting South African choirs. South Africa boasts gorgeous nature and exhilarating activities that we were able to partake in during the festival. 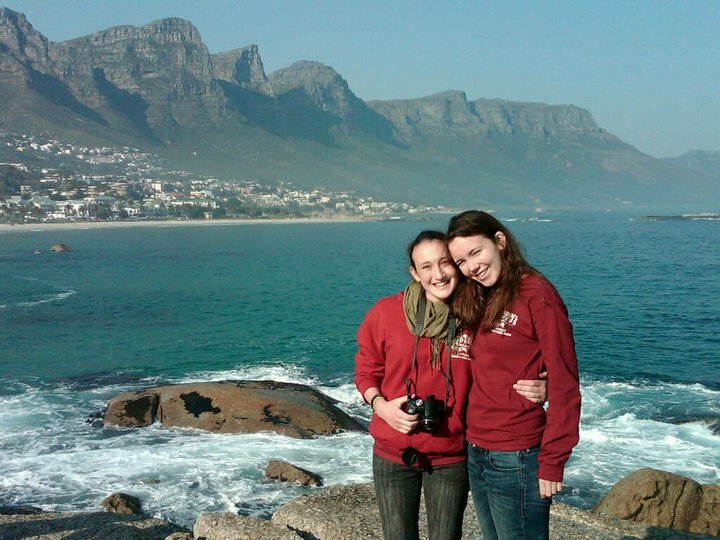 We visited the major sights including the Cape of Good Hope, Table Mountain, scenic drives, wildlife safaris, museums, the home of Nelson Mandela, Robben Island, Freedom Park, and many other historic locations. One of our favorite experiences was during our overnight stay at the Safari Lodge, where animals could roam freely and we experienced a traditional South African “braai” (cooking outdoors on an open fire). Ihlombe! offers the festival participants an opportunity to work together to honor the great Nelson Mandela and his commitment to creating a better world in celebration of International Mandela Day. In remembrance of Nelson Mandela’s 27 years in prison, each choir donated 27 minutes of singing. Additionally, each participant donated 67 minutes of community outreach in commemoration of his 67 years of fighting for the rights of humanity. We performed in benefit concerts held in honor of Nelson Mandela featuring choral groups from around the world, while choirs participated in community activities. Each of these choirs donated the gift of song and helped to spread the message of hope. A memorable moment of this monumental event was a flash mob, organized by the festival participants, which featured participating choirs in Cape Town to commemorate Nelson Mandela’s birthday. Choirs also stopped to sing outside the hospital in Pretoria where Mandela was hospitalized at that time. Every event was well-received and covered by local newspapers, radio, and television stations. Classical Movements continues to contribute the gift of song to the celebration of Mandela’s life and accomplishments for Africa and the world through Ihlombe! Our choir left South Africa with a renewed sense of unification through the power of music.